After more than 4 years of manning the US State Department conflict diamond desk, Brad Brooks-Robin stepped down and was interviewed by JCK magazine. Apart from appreciating the very honest answers Brooks-Robin gave, I was left with some questions that I could not find answers to. Kimberley Process Certification Scheme, established ten years ago, is a structure set up to ensure that diamonds sold internationally do not finance wars or other conflicts. Countries subscribing to the Kimberley Process must put in place regulations requiring diamond dealers to buy diamonds only from known sources. Brooks-Robin considers the scheme to be effective, but believes it does not cover all aspects. Its lack of comprehensiveness was the reason the NGO Global Witness decided to leave the Kimberley Process. However, the interview fails to address the most fundamental question. Is there any evidence that diamonds finance wars or other conflicts? Was there a raison d’etre for such a huge bureaucratic mechanism to start with? Everyone was mobilized for the scheme – the US government and Senate, the European Union, the Security Council of the UN and even Hollywood. Everyone went forward to protect the market from an evil that never existed. Well, I would not say that it never existed. When the UNITA wanted to finance its war against the government, they sold diamonds on the open market, but that was a different story. Financing a body the size of UNITA means that they had to sell a lot of diamonds. Actually, the size of the smallest parcel they sold was over $1 million and the goods were openly traded. It would have been quite easy to stop such a trade, had those who were interested been willing to do so; however it seems they were not since they used the money to sell arms, which have the nasty nature of killing and maiming people. The reasons behind creating this huge scheme were in reality different, but that is another story. Ten years later we now have a mechanism that works smoothly, though aimlessly, and everyone is happy. We have a car with an excellent motor but without a gearbox allowing us to drive it to our destination. We have a set of rules that is followed to the letter of the law, but no one cares whether they achieve anything at all. Well, this is hardly news. In early 2000, based on advice from Bain and Co. consulting firm, De Beers decided that the industry needs brands. Nobody really knew what brands meant or how to create them or whether diamonds can be branded at all. Brand was in the air and as De Beers said, we don’t know what this drive means either or how it will revive the industry, but we will learn together with you. According to Varda Shein, the general manager of the Diamond Trading Company – the marketing arm of De beers – about $5 billion in cash went up in smoke without selling one single diamond. How well did Bain and Co. know the industry? These consulting firms have tools for analyzing corporations, however when dealing with an industry that is exclusively entrepreneurial, one needs different tools and rules, that are not taught in business school. I personally witnessed this when I was in business school, when I realized that I need a very healthy measure of creativity and commitment to apply what I learned to my business. At least if there is a positive lesson to learn from the branding fiasco, it is that the diamond industry is quite flexible and ready to adapt to any trend or move. Well, one cannot expect less from entrepreneurs. The diamond industry is clinically dead. The mechanism works and its body is supported by life-support machines, but its soul – the personal responsibility for its actions – went away a long time ago. How long will it take before a true leader brings life back to this beautiful industry? Luxury brands are embracing digital technologies in a bid to reach out to consumers, providing them with a virtual way of engaging with products before they purchase them. 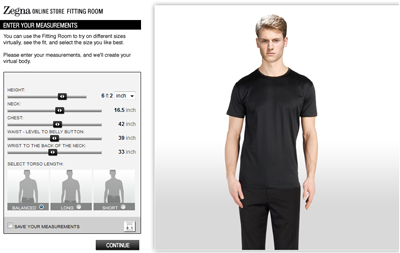 Italian designer Ermenegildo Zegna has tackled one of the core problems of buying clothes online – inability to try them on – by creating a virtual fitting room where customers can input their measurements and see how the clothes will fit on their body shape using a virtual mannequin. 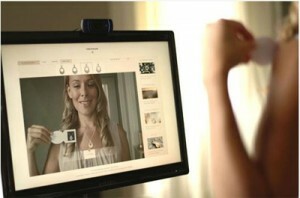 De Beers, the luxury jewelry makers, have also developed a digital tool. To aid the customers of their Forevermark diamond brand, they developed an augmented reality virtual try-on experience through users’ computer screens. This allows people to download an application which enables them to virtually try on different diamonds. The application also encourages sharing on different social media sites. Both of these luxury brands are demonstrating the growing need for innovation, digital technology and experience if they are to compete in an increasingly competitive space and in targeting consumers both in growing markets and established ones. Chaim Even-Zohar’s latest memo reveals the diamond industry in despair. At the moment Diamonds are not being sold to the market of consumer and what we see is inter-trading only. Banks do not see new money coming in, and while they hail the fact that debt went down by 20%, how much was due to real sales and how much was due to squeezing the empty pockets of the industry? The cancer has reached the producers, who act irresponsibly and pour billions of dollars into the market with the only short-term goal of survival. 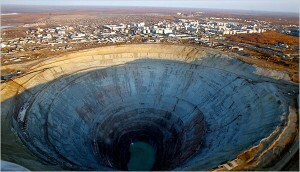 Alrosa lost half a billion dollars this year and De Beers struggles to finance its debt. All in all, somewhere along the line the industry forgot the consumer. We all know the truth about diamonds for investment (short answer: they’re not), but the new trend that big players want to establish just shows their level of despair, trying to play on the world’s ignorance. This is not the first time that the trade, championed by De Beers, has done so. The world has believed that “all diamonds come from De Beers” and if you do not have a De Beers diamond, something is wrong with your diamond. I do not blame De Beers for not correcting this perception, but they were happy with this ignorance. What we see now, this attempt to attract investors, is something really dangerous. This raises some painful memories. During the heydays of the diamond boom before 1980, a Belgian worker decided to buy some diamonds for investment. When he came to us some ten years later with his parcel, we looked at it and literally had tears in our eyes. Here was a hard worker with a permanent layer of dirt under his nails and who had bought diamonds with full faith that his purchase was a good value that would appreciate. In actuality if he got 5% of his investment, he would have been lucky. This was not an isolated case–I have a personal example: When my uncle left our company in 1975, he took, as part his compensation, a few parcels of polished goods that were estimated well below market price. When he tried to sell these goods twenty years later, he hardly recovered his investment even after repolishing and regrading many of the goods. We also can’t forget the $1 trillion of goods at market price that are in the hands of consumers — these goods will be worth much less when consumers try to dispose of them. Jewellers pay about a third less on average for the same goods when going to their suppliers. When they buy from the consumer market, they pay a lot less for several reasons: they have to pay cash, the goods won’t always sell easily, and sourcing from the consumer market is not always steady. On top of this, the jewellers’ market is very narrow and quite often they will try to move it up the supply chain to their supplier or supplier’s supplier, reducing the value they can offer even further. If the market tries to market diamonds for investment, they are literally cheating the market. Most of the goods that will be sold will fetch only a fraction of the investment when they are resold, even without any more mining. And even extraordinary large and special diamonds, which might have been a good investment in the past, won’t be a good investment if many of them are sold later on at lost or close to par. A new trend is emerging on the diamond market, where rough unpolished diamonds now are being sought after by diamond dealers and used by jewellery designers for their character, uniqueness and authenticity. However, this trend isn’t actually new, but started nearly a decade ago with underground German stone-cutters creating innovative pieces that pushed boundaries, and have since been in vogue in avant-garde circles around the globe. But it is only now that this trend is reaching a wider audience and is being picked up by big brands such as Tiffany’s, Cartier and De Beers. Stones with imperfections that previously would have destined them to be thrown on the scrapheap are now used and considered as a source of character. Some argue, however, that jewellers may use such gems as a way of squeezing extra value from stones that previously had little use; and now that they are in vogue, prices of rough or included stones has indeed rocketed. In the end it comes down to supply and demand, and it is up to the customers to decide whether they are prepared to pay for these traditionally overlooked stones. My guess is that Lambda personalities, who generally seek originality and challenge, are the ones most attracted to the distinct and unique characters of these stones, whilst Theta personalities, who seeks truth and unity, may dismiss them as un-pure and lacking the brilliance of a perfectly cut and polished diamond. In an economic downturn it is more important than ever for companies to be creative and active in the way they approach their customers. It is not enough to just sit back and wait for customers to make the first move. They need to be enticed, surprised and even amazed, and companies need to make the extra effort, whether this is in their product design, marketing approach or service. In the jewellery industry, which has been particularly hit by the global recession (De Beers reported a 99 per cent drop in net profits for the first half of 2009) you now see innovative attempts by some companies to attract new customers. 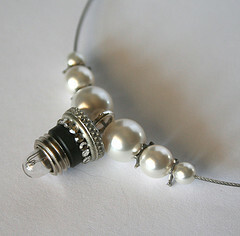 One example is luxury jewellery brand Caratti. It aims to revolutionize the process of buying diamonds and luxury jewellery by educating customers on diamonds and jewellery care, and by offering “value add” services such as marriage proposal ideas and marketing concepts such as “Describe your partner; Find a ring!”. Vinit Mehta, founder of Caratti said of the venture “We will not just sell jewellery but will help customers make an educated buying decision based on their personality, budget, lifestyle”. Another example is American firm LifeGem, which specialises in creating diamonds, has tactically decided to tap in on the greatest media buzz of today- the death of Michael Jackson. LifeGem has obtained strands of hair from the deceased star, with the intention of turning this into diamonds created from the carbon in the hair. As bizarre as this venture might seem, tapping in on the current media fuss and creating something that is relevant to customers today may offer that extra competitive advantage much needed in a tough climate. Recovery in sight for the diamond industry? The diamond industry may be beginning to recover, according to De Beers executives who spoke at the Diamond Town Hall Meeting at the Antwerp World Diamond Centre earlier this month. He noted that in the period from 1970 to 2009 there were four major recessions in the US, and in the five year period following each, rough prices rose sharply. Penny expects the same to happen this time. I do hope he’s right, and that demand truly is rising. It would be all too easy for him to just tell the crowd at the town hall (including sightholders) things they want to hear. “We have to tell people that diamonds are valuable,” [Aleksandr A. Malinin, an adviser to the president of Alrosa] said. “We are trying to maintain the price, just as De Beers did, as all diamond producing countries do. But what we are doing is selling an illusion,” meaning a product with no utility and a price that depends on the continued sense of scarcity where there is none. At the Alrosa unit that receives diamonds, called the United Selling Organization, where about 90 percent of the output of the Siberian mines arrives for processing, Elena V. Kapustkina pours about 45,000 carats of diamonds though a stainless steel sieve every day to sort them by size. “It’s just a job,” she said. When asked whether diamonds had lost their romance for her, Ms. Kapustkina paused, looked down at the pile of gems on her table and blushed. I hope Malinin’s cynical comments won’t undermine the industry. The industry should really be focusing on people like Elena Kapustkina, who feel an emotional connection to their diamond. Understanding how people interpret luxury and how luxury can give people positive reinforcement will give marketers a distinct advantage–it’s the direction in which luxury marketing is going. Diamonds: are they of “enduring value” or just plain luxury? De Beers new emphasis on “enduring value” is achieving widespread coverage. Many in the trade, like JCK magazine, really WANT to believe the message! Reading through the hopeful message of De Beers, it is easy to find many rational arguments that diamond prices are sound, but the truth is, the arguments are flawed. 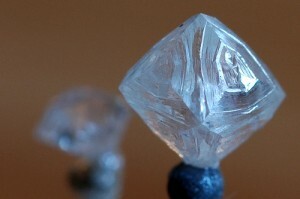 The first of the arguments is that diamonds are of “enduring value”. I simply do not know what enduring value means here, given that we all know that diamonds are not a viable form of investment and never have been. The second argument is that it is better to buy now because the supply of diamonds is limited – as existing mines are depleting or even depleted and no big mines are on the horizon. The industry has been spinning this yarn for years when it wasn’t true. So how can we expect consumers to believe us now? 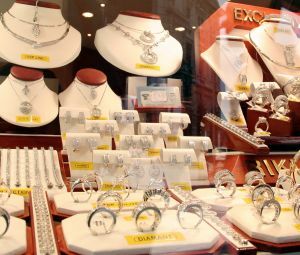 It will be particularly interesting to see how this particular argument helps in convincing a retail customer who stands in front of display-case after display-case overflowing with diamond jewellery; not to mention the immensity of the diamond jewellery overhang, lying dormant in domestic jewellery boxes. The final argument DTC makes is that among really affluent buyers, price is not an issue. I do not know who these affluent people are and what their weight might be among diamond buyers. Data shows that since the mid 1980’s the “sweet point” of diamond purchases simply did not change. In the US, with its social multi-layered demography, most of the diamonds sold are in the range between $2000-4000 while in Japan this “sweet point” still hovers around $2000. For diamonds, sold as commodities, price does matter! Of course this could all change if we reverse the tide of the 1980s and return to first principles. Diamonds are luxury, pure and simple. They must be sold as such. The one thing we know about luxury is that it is ultimately irrational (the subject of my PhD – thankfully now completed!). Luxury is a fine example of the fact that that the value for money is NOT what we seek. When we ask people for a definition of luxury we usually get two answers. First, we hear that luxury is expensiveness and second, we hear that luxury is unnecessary (or superfluous). In this sense, diamonds are, in principle, the pinnacle of luxury – as they are, quite literally of no use whatsoever. When it comes to valuation, saying that luxury is unnecessary opens the door to premium and unbounded, personalised pricing – the antithesis of commodities. Instead of recognising and embracing the irrational consumer, since the 1980s, De Beers has adopted a rational line, looking to “educate the customer”. This is still the producers’ strategy – at the expense of the industry , which simply has to follow the leader’s line. However, as these ‘rational’ arguments will never convince any serious customer, we have seen and will continue to see a lower proportion of people interested in diamonds. Other luxury offers, by contrast remains resolutely irrational – and many categories are indeed relatively resilient to economic considerations. Purchasing of luxury is ultimately an irrational activity. Of course it is just possible that during the coming six weeks American customers will storm the jewellery stores and clear up everything still in their vaults delivering a knock-out blow to the recession. My feeling, though, is that we are looking less at a boxing match and more at a game of Russian roulette that may well send the final blow to the de-facto bankrupt industry. Doubling up the Christmas ad spend and pleading with consumers to value ‘their commodities’ at heavily inflated prices is a very big gamble indeed. A Holiday Slowdown for Diamonds? DeBeers production of rough diamonds is slowing slightly, down 4.3% in the 3rd quarter of 2008 compared to the 3rd quarter of 2008. However, the prices they’ve been able to achieve for their rough diamonds at auction recently have held up (unlike BHP Billiton, whose prices have dropped 35-40%). An industry trade group (India’s Gem & Jewellery Export Promotion Council [GJEPC]), a large producer (Alrosa) and a whole country (Botswana) have all said that the economic crisis is affecting them. GJEPC asked producers to offer fewer rough diamonds over the next few weeks so that the market could stabolize; similarly Alrosa said it would cut its supplies. Botswana has also said that the economic crisis has affected its diamond exports; the country is solvent for now but could be hurt if the recession lasts for a long time. 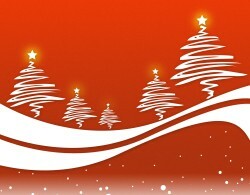 What does this mean for the holiday season? RBC Capital Markets is predicting disappointing diamond jewelry sales in the US for the holidays. The International Council of Shopping Centers predicts that chain store holiday sales will grow, but the focus will be on basic goods. All this news suggests to me that a holiday slowdown is on the horizon, though DeBeers being able to hold its prices suggests that those companies with the right offerings will be able to weather the storm. Having previously dominated diamond supply and exercised near total control over diamond distribution, the diamond industry market leader De Beers now accounts for just 40% of global diamond production and 45% of distribution. In the face of competitive and regulatory pressures, De Beers has recently sought to adapt its role from being the custodian of the industry to acting merely as a major player. However, its retreat from a position of industry dominance is creating tensions within De Beers and among industry participants. This paper seeks to explain De Beers’ behaviour and the reaction of the industry in terms of paradox management and identifies the requirement for a new form of leadership to replace the previous monopoly situation and guide the diamond industry into a better future.